Before Postgres 10, hash indexes were severely flawed but things are turning around fast as Robert explains here. The first release candidate of version 10 is now available for download. pglogical is a logical replication system implemented entirely as a PostgreSQL extension. Fully integrated, it requires no triggers or external programs. Replicate your data with this alternative to physical replication & achieve zero-downtime. Postgres doesn’t reclaim space when dropping a column which can be a problem in situations where you create and remove many temporary columns.. An interesting story. A laundry list of changes in the forthcoming new major version of Postgres. Some steps to follow for migration to Citus. When tuning autovacuum, ‘start with the default settings and check table bloat regularly’. Building a robust background worker system that leverages transactional isolation to never work a job too early, and transactional durability to never let one drop. 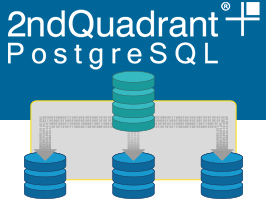 Start a free trial and see how advanced queries help optimize performance.